This is the ayat, we'll be looking at. Read it with your child then read the tafsir. Select the important bits, write them down. Your child reflects on what it means to them personally and write this down. Then plan what actions your child will take for this Ramadan, write it down. InshaAllah, your child will have a plan of action to take to make the most of this Ramadan. Download Ramadan Quran journaling sheets here. 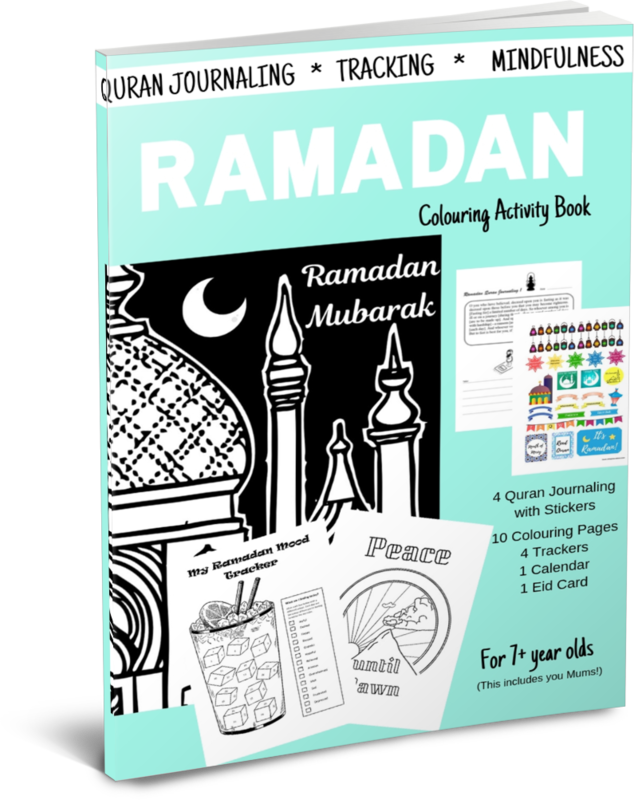 If you like this printable and want more Ramadan Quran journaling pages and other Ramadan activities then get my Ramadan Colouring Activity eBook. Read more on how to Quran journal here. Get more free Quran journaling downloads here (bees) and here (rain). Get my Quran Journaling on Friendship ecourse.